Logos are everywhere and, to some respect, has become a part of our lives. Logos allow us to identify well-known brands and make up-and-coming brands more identifiable. A logo is an, if not the most, effective marketing strategy a company or an organization can come up with. And it’s the easiest way too for everybody to recognize the products and services one brand offers. Logos are necessary for its own way, especially when talking about business. If you have a business and you are looking for a unique logo design, our collection of 9 wood logos are a great choice. Designs that will stand out above the rest. Check them out and don’t forget to see our Free Logo Designs if you couldn’t find what you were looking for here. Wood is an absorbent and fibrous, structural tissue found in the stems and roots of trees and other woody plant types. It is a natural material, an organic mixture of cellulose fibers that are strong in pressure and that can withstand intense tension. It has been used for thousands of years for fuel, as a construction component, for creating tools and weapons, paper and pieces of furniture, and as a source for making purified cellulose and its by-products, such as cellophane and cellulose acetate. Being a long-lasting material—mainly due to new technical processes in processing and aftercare of wood products—the great qualities of wood products are known to stay longer, and with just simple upkeep, it is possible to regain the first properties, making wood a cost-effective, reliable building material. The only material that decreases C02 diffusion and plays a necessary role to slowing down climate change. Wood is a reusable and recyclable material. Wood acts as a natural insulator. Adept and speedy to build with. Naturally attractive and enticing to look at. Woods is not just used for constructing purposes. It can provide great benefits to us humans. They are an essential part of our planet that we need to take care of. With these wood logos that could be used as Brand Logos, you are sure to show your clients the stability and reliability your company or organization is known for. Now you know why woods are a necessary part of our daily lives. It is not just a material for building houses; there are a lot of benefits that wood can provide us. 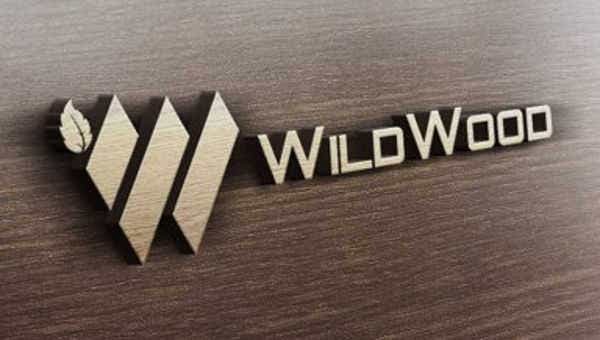 Since we are talking about wood, for those who love wood-inspired logos, we collated these amazing wood logos and created this list that showcases the simple elegance of wood, ideal for business or for personal use. Each comes in high image quality for lossless detail even when printing in large-scale media. You can download them easily straight to your device with no hassle. If there is a need for to edit them, feel free to do so, as our logos come in PSD, vector AI, or EPS formats. Each design is gorgeous and state of the art, perfect for a business logo. a backdrop for your tarpaulins or posters. Now there is no need for you to look for a great design for your logo. With these choices, for sure, you have one that matches what you like. If you wish to see more options, then our Animated Logos are a great pick.